Dark-skinned women are prone to Melasma which occurs throughout middle age and menopausal stage as hormonal fluctuations trigger the disease. But, did you know that men can be affected too? Yes! New research showed that even men may suffer from the chronic disorder. From the Greek word “melas” meaning black, melasma is prevalent among people with brown or darker skin. It is estimated to affect 8.8 percent of Hispanic females in the United States and about 40 percent of Southeast Asian women. – Dr. Claudia Aguirre, neuroscientist and skincare expert, wrote in an article on the International Dermal Institute (IDI). In tropical countries like the Philippines, melasma is common as constant sun exposure stimulates the melanocytes to produce more melanin. Melasma was among the top ten reasons for seeking consultation at the Research Institute for Tropical Medicine (RITM) and among the top ten diseases at the Dermatology Outpatient Department of the Opsital ng Manila Medical Center (OMMC), the 2004-2008 census in the respective hospitals showed. It recurs throughout middle age and menopause as hormonal fluctuations trigger the disease but picosecond laser treatment can help reduce the unwanted pigmentation. 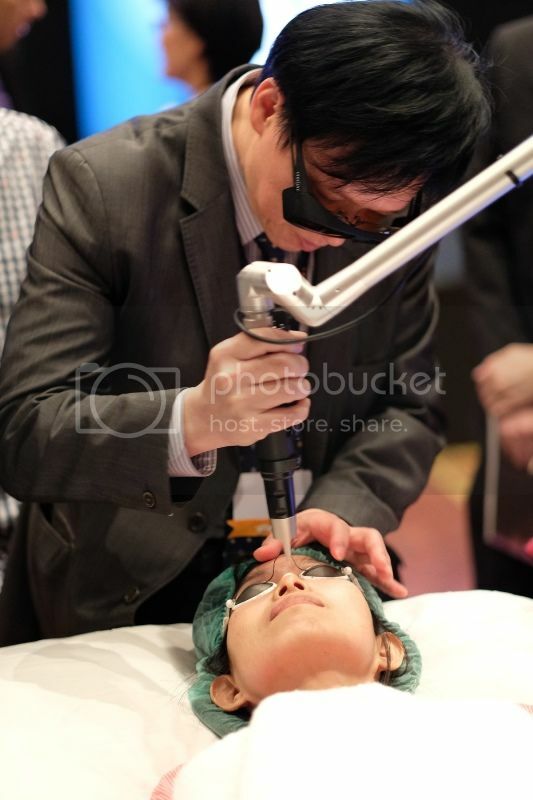 In the “Cynosure Asia Pacific (APAC) Forum” last month, Dr. Carl Cheng, a certified dermatologist in Taiwan, introduced “picotuning” to “fine tune” the picosecond treatment protocol to the needs of patients with melasma. While conventional laser devices rely on heat energy, picosecond laser technology induces collagen and elastin to rejuvenate skin, and works on targeted areas within trillionths of a second. Over a dozen peer-reviewed clinical studies on PicoSure®, the world’s first picosecond laser, showed that its side effects were milder compared to older laser machines that caused burning, scarring and post-inflammatory hyperpigmentation. The US Food and Drug Administration (FDA) approved PicoSure® for treating unwanted tattoos and benign pigmented lesions in 2012, and then acne scars, and wrinkles in 2014. Cynosure, the leading manufacturer in aesthetic laser devices, spent 13 years to develop PicoSure®.